: Happy Cinco De Mayo Recipes! 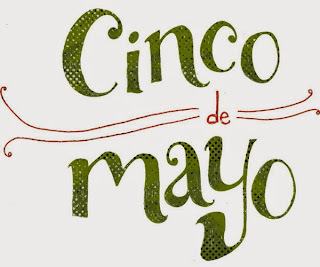 Happy Cinco Day Mayo! Whether you’re going out to a local restaurant or staying at home, this is a great time to celebrate the vibrant culture from Mexico. If you want to skip the crowds at local restaurants, check out these recipes from the Kitchen Daily website. They’re super tasty and easy to make. Here’s another easy recipe by Melanie, a blogger for Garnish & Glaze. 1. In a bowl, mix together all marinade ingredients. 2. Heat a large skillet (preferably a cast iron skillet) over medium-high heat. 3. Drizzle beef strips with half the marinade and then sear in skillet for 2-3 minutes on each side until slightly browned/blackened. When done, remove from pan and set aside in a bowl. 4. In the same skillet over medium-high heat, sear the veggies drizzled with the remaining marinade. Toss occasionally and cook until tender but slightly firm and slightly browned (about 5 minutes). 5. Throw meat back in the pan, toss to combine, and serve. 6. 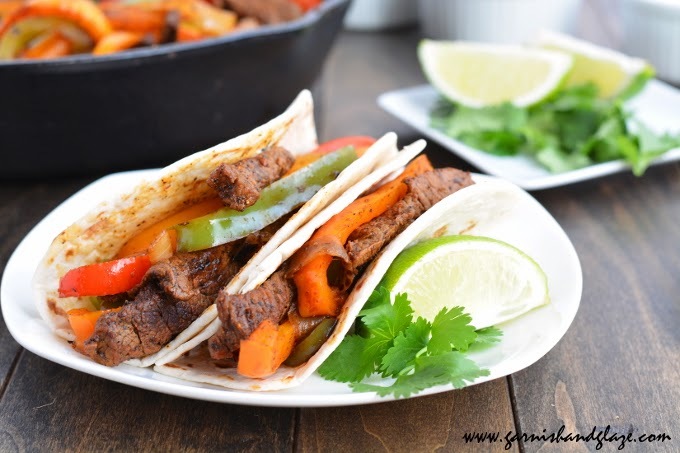 Assemble fajitas by placing meat & veggies on a warm tortilla and top with fresh lime juice, avocado slices, salsa, cheese, and cilantro.